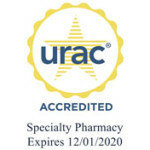 City Drugs is accredited for Specialty Pharmacy by URAC (Utilization Review Accreditation Commission). 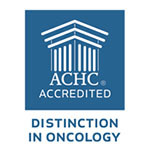 URAC is an independent, nonprofit organization, and a leader in promoting healthcare quality through its accreditation, education, and measurement programs. City Drugs’ clinical staff has received certification from SPCB. 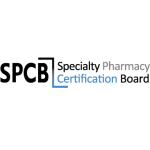 The Specialty Pharmacy Certification Board works to ensure Specialty Pharmacists participate in ongoing professional development, establishes clear standards of ethical practice and empowers Specialty Pharmacist to maintain the highest quality standards to ensure safe and efficient patient care. City Drugs is a proud member of the National Association of Specialty Pharmacy (NASP) and our lead clinical Pharmacist also received CSP (Certified Specialty Pharmacist) accreditation through NASP. 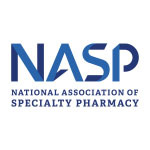 NASP works to elevate the practice of specialty pharmacy by developing and promoting continuing professional education and certification of specialty pharmacists.